One of the Moscow’s Circus top jugglers…Benjamin is sure to amaze your guests with his skills of balance and making people laugh. BENJAMIN THE JUGGLER – One of the Moscow’s Circus top jugglers…Benjamin is sure to amaze your guests with his skills of balance and making people laugh. 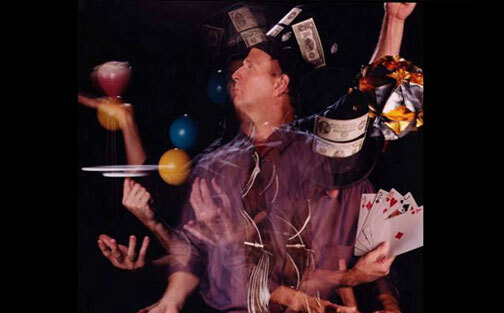 A regular attraction from the Moscow Circus he will amaze and involve your crowds with his juggling talents. He can perform alone or with one of his juggling partners and do a team juggling act. JOE HOWARD’S AND HIS WORLD OF UNIQUE BALLOON SCULPTURES – Joe’s skills are both intriguing and vast when it comes to making a balloon into something special. Not your ordinary balloon sculptures Joe can create a hat or even a celebrity out of balloons. Jon Lehman has played the piano since the age of six. He took private pianos lessons through childhood and studied piano performance at Heidelberg College in Ohio with noted teacher and composer David Mattingly. Currently, Jon plays at churches and for events around the Boston area. Jon can transition easily from classical to jazz and popular playing styles and has played for numerous weddings, cocktail parties and other events. We can help you enhance your event with music, and discuss all details of what styles of music would be most suitable, while blending seamlessly with your event.